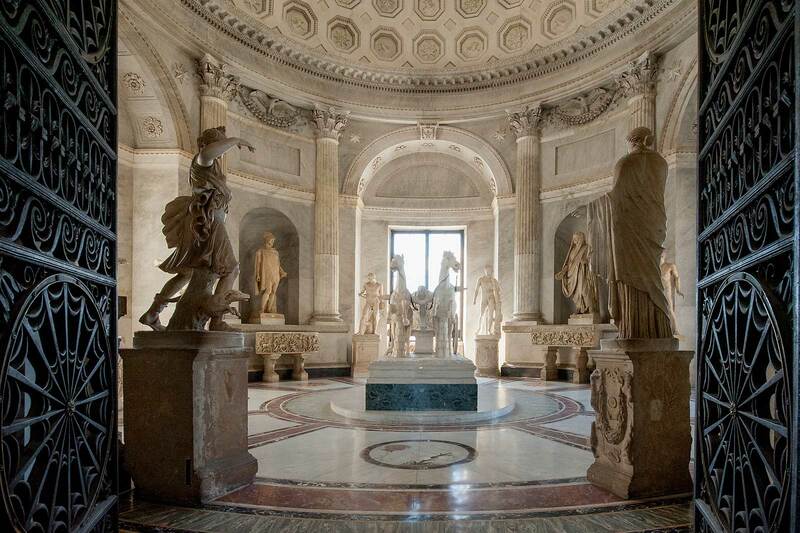 Explore works of art in the Pio-Clementino Museum and travel through the Gallery of the Tapestries and the Gallery of the Maps. At 75 meters long, the Gallery of the Tapestries is named after the elaborate Flemish tapestries that drape its walls. 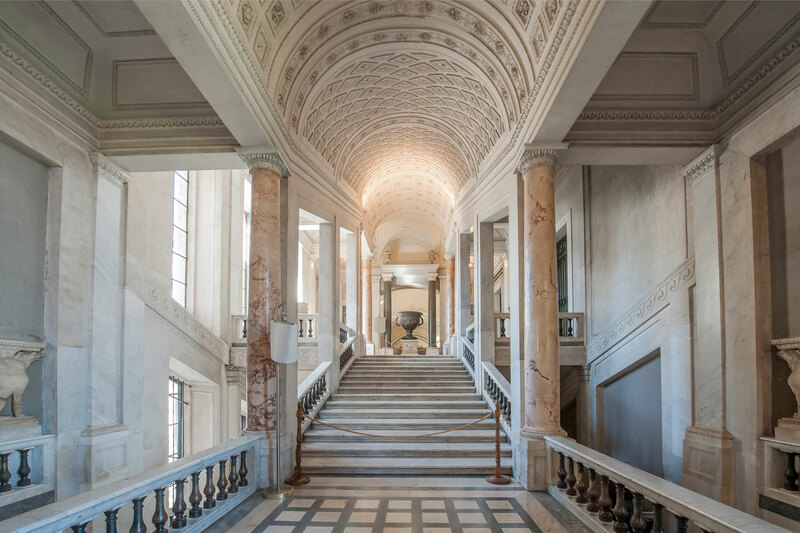 The Gallery of the Maps, painted between 1580 and 1585, takes its name from the 40 maps frescoed on the walls, representing each of the Italian regions and papal properties at the time of Pope Gregory XIII. Our sightseeing Vatican visit continues to one of the most revered places to see in Rome – and the world – the Sistine Chapel. 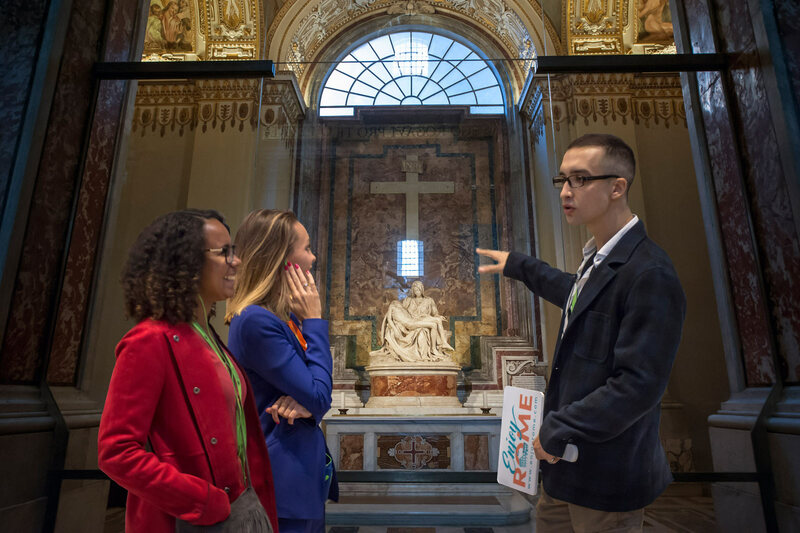 An absolute must-see in Rome, our guide will walk you through amazing works of art including Michelangelo’s The Last Judgement – the largest fresco ever painted by one man. 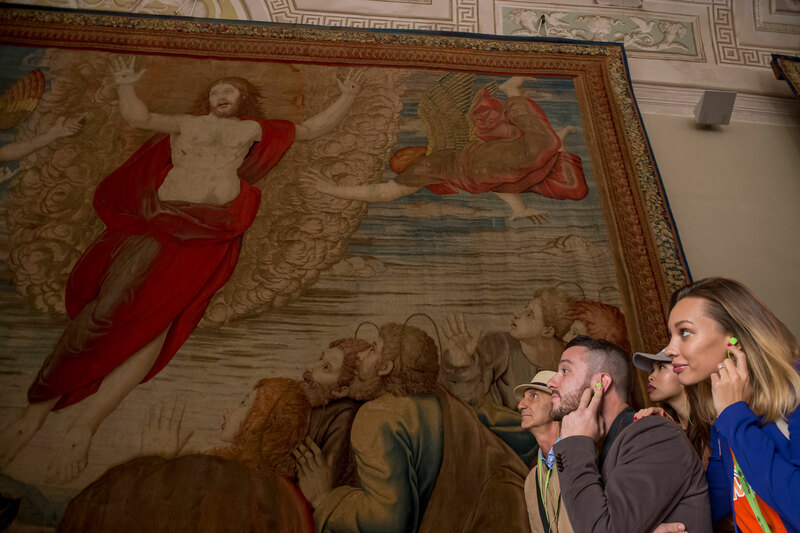 As you explore the endless wonders, our guide will tell you the stories behind these famous masterpieces on this breathtaking Sistine Chapel tour. 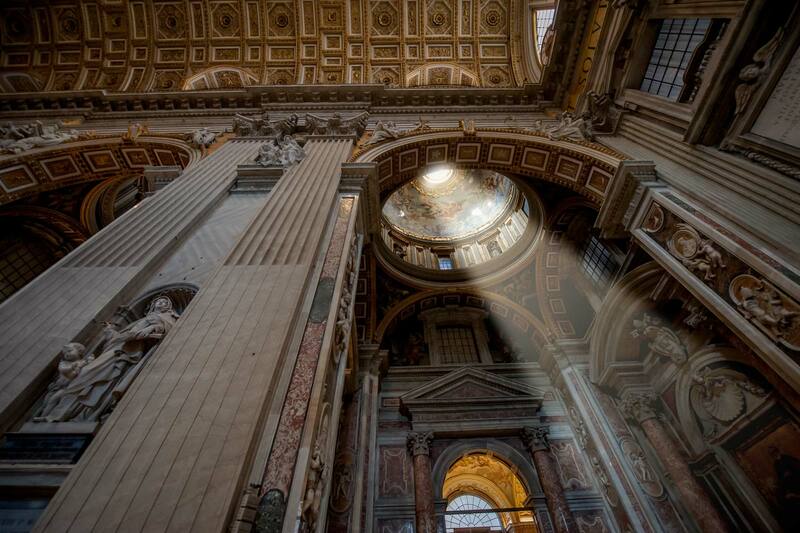 The last stop on this walking tour of Vatican City is St. Peter’s Basilica- without having to leave the museums. 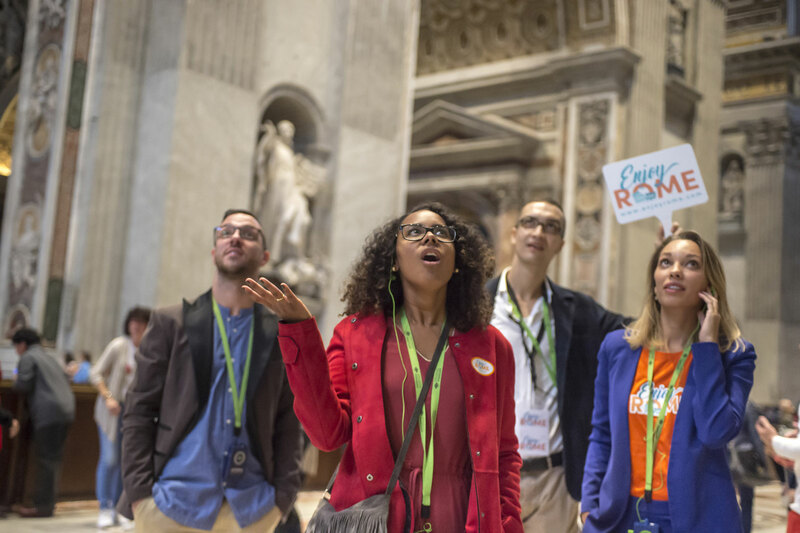 The most renown work of Renaissance architecture and one of the largest churches in the world, a visit to St. Peter’s Basilica is essential to your Rome itinerary. 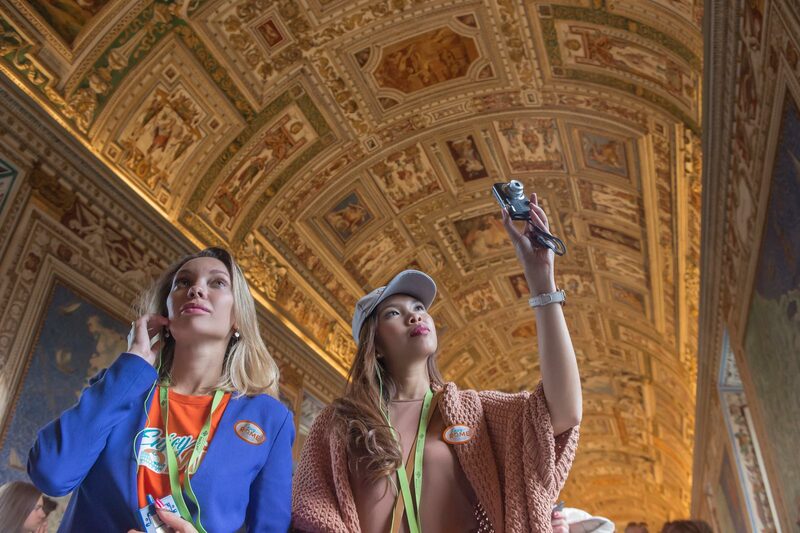 Covering the most significant and spiritual destinations in the world, this Vatican City tour in Rome is an experience you will cherish for a lifetime. 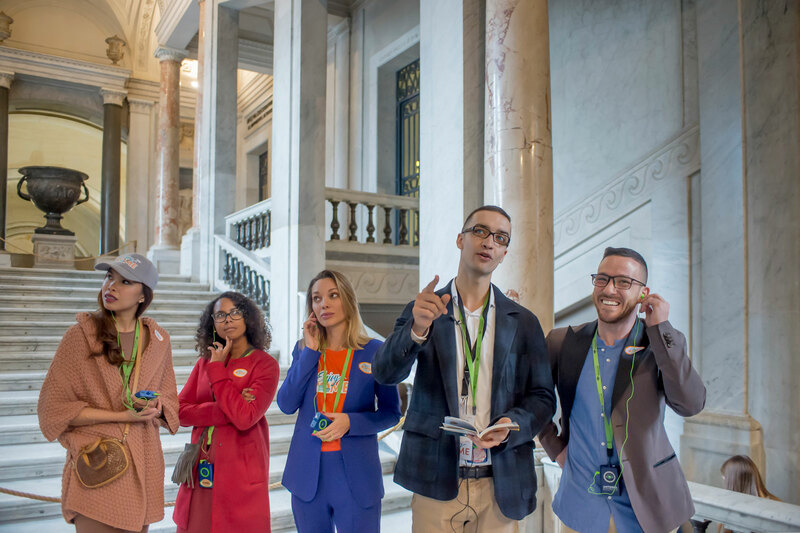 Our tour ends with on the steps of St. Peter’s Square, surrounded by the beautiful white columns and Bernini’s fountains. Please note- the Sistine Chapel and St. Peter’s Basilica maintains a strict dress code year-round. All visitors must have their shoulders covered and pants/skirts must come to the knee. And make sure to wear comfortable shoes! 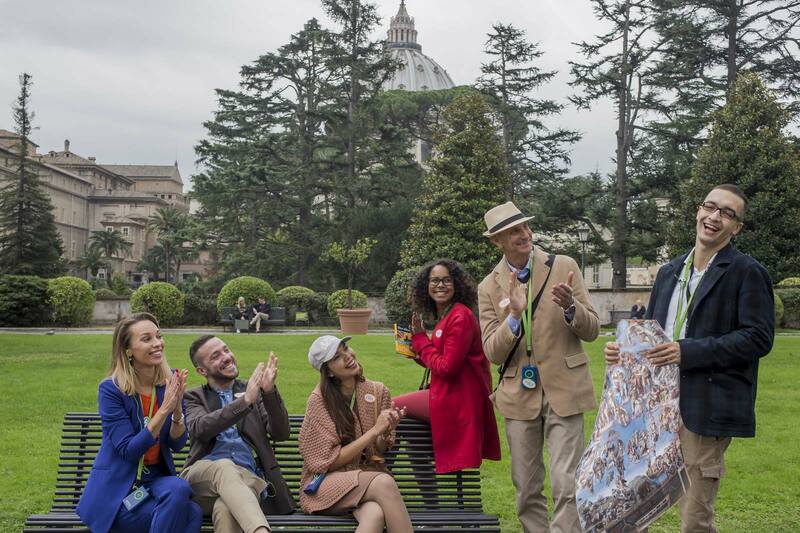 Large bags and selfie sticks are not allowed in the Vatican. There is a free Vatican cloakroom service once you have gone through the metal detectors. But please keep in mind that there is no bag check at St. Peter’s Basilica. Strollers are permitted.